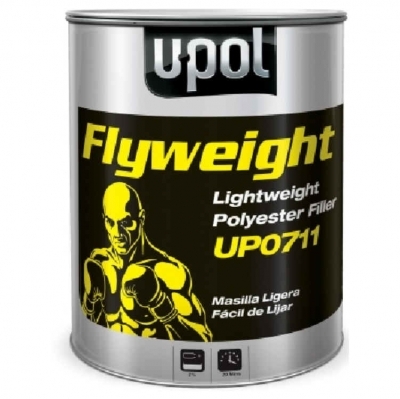 FLYWEIGHT polyester filler is a two component paste used for the filling of holes and Imperfections in most substrates. FLYWEIGHT polyester filler offers great filling properties, a smooth creamy consistency and easy sanding, all at an economical price. Sandable after 15 mins. at 68ºF. IMPORTANT – This filler is very easy to sand and therefore recommend that nothing coarser or lower than P80 paper is used.